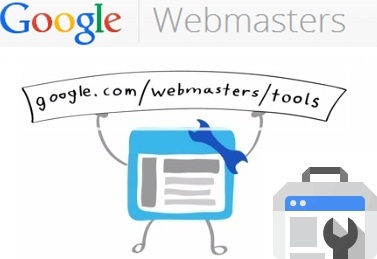 If you’re like a lot of other website owners, you have yet to fully appreciate what Google Webmaster Tools can do to help you with your site’s SEO. That’s something you’re going to want to fix right away! What better place to find out what’s wrong with your site than the place where it matters most, Google. After all, they are the ones dealing out the search rankings, and it’s useful to know what they think about your pages. Rather than overwhelm you with the entire suite of tools, here are 4 of the most useful ones to get you started! HTML improvements – The report shows you how well your site does behind the scenes. Details like if you have missing, improper or duplicate title tags, descriptions as well as content are definitely things you’ll want a heads-up on. HTML Improvements will help you do exactly that, make improvements! Search Queries – Probably the most useful report by far, Search Queries returns loads of data including impressions, clicks, click-thru-rate, keyword terms searched, image and video SEO and a lot more. The keyword section only goes back for 30 days, but it does give you some data you can plug into other tools. Crawl errors – The Crawl Errors report will show you which of your pages aren’t resolving to their requested URL. This usually shows up in the form of a 404 Page not found error. It’s very helpful to have this information, as it may be a simple matter of fixing a URL, link or redirecting. Links to your site – Knowing which websites are linking to your pages, and your most popular pages is very good site intel to possess. It’s not unusual to be surprised by what shows up here, as pages you had no idea were doing this well often present themselves. Google Webmaster tools are a very useful tool to let you know what you need to be concerned about and fixing within your SEO. It ought to be your first stop, even if you do at some point use a more sophisticated paid tool to dig deeper.